It’s been almost two years since we last saw her at Touhill, and she’s won a second Emmy since then for her show My Life on the D-List. This is my third time seeing her live, and I always walk out with my cheeks feeling sore from smiling for two hours straight. She began her show this weekend at the Fabulous Fox by moonwalking onto the stage, in a tribute to Michael Jackson, and then proceeded to ask the audience, in a conspiratorial voice, if it was too soon to dish about the King of Pop. 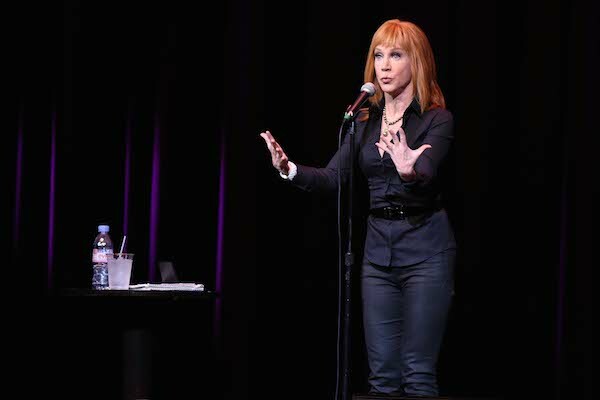 Of course the audience demanded that she continue, because that’s what Kathy Griffin fans come to hear. She did not disappoint, and put on a very entertaining show. As her popularity continues to rise, I dare say she is in danger of being promoted off the D-list.